When Dust Elemental enters the battlefield, return three creatures you control to their owner’s hand. 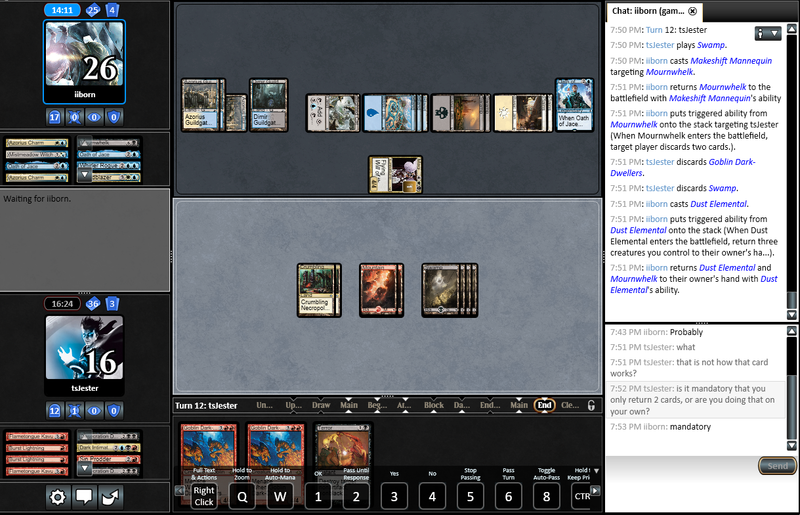 The bug only seems to occur when you have exactly three creatures in play (two creatures are returned instead of three). Otherwise the card behaves as normal, makeshift mannequin seems to have zero effect on the number of creatures returned with Dust Elemental. Why is a video needed? The log shows what is returned.